What's happened to NZ's youngest implant receptient? Josh Foreman was New Zealand's youngest person to have cochlear implant surgery when he was two years old. Now, he's 25 and graduating from the University of Auckland. The New Zealand Herald has a video report (no captions but there is text here. I did "Dancing With the Stars," and people said, "hey, deaf people can dance." I raised a million dollars for hearing aids for children on "Celebrity Apprentice." I try to show by what I do that deaf people don't have to be put in a little box. But we still have "disability blackface," where 95 percent of television characters with a disability on television are played by able-bodied actors. You still have the thinking that deaf actors only act in deaf storylines; any story line can feature an actor who is deaf. The topic needs to be part of our conversation. A Georgia father and his son got cochlear implants together-despite the fact the father was at first against his son getting an implant. Atlanta's Fox 5 was there when Randy Adams had his implant activated. The Mississippi School for the Deaf women's basketball team made it to the second round of the 1A state playoffs for the first time in school history. Coach Victorica Monroe told the Clarion Ledger, "When we became a part of history it really was shocking because I wasn’t thinking about it like that. I just wanted to come and be a good coach, and in the meantime we’ve made history.” Read the full story here. The spy agency in charge of the most advanced imaging technology in the world has a budget of more than $5 billion. But "right now they have a position for a sign language interpreter that they’re not allowed to fill." Gizmodo explains why. Cassandra Kinney says the Jacksonville, Florida Sheriff's Office failed to provide her an sign language interpreter. Police were called to her home several times but she says they failed to get her side of the story. Now she has filed a lawsuit. Action News Jax has a video report here. A demonstration opposing the Syrian airstrike turned violent in Jacksonville, Florida. Among those arrested was Connell Crooms, who is deaf. Action News Jax has a video report about a rally in his support at the county courthouse. Feliciaia Crooms says police severely beat her deaf son in Jacksonville, Florida-and then refused to let her to see him either at the hospital or later in jail. The Florida Times-Union has a report on the several hundred people who gathered at the Duval courthouse in support of protesters arrested Friday night. The deaf and hard-of-hearing are in need health resources in the Rio Grande Valley. KRGV-TV has a video report from south Texas on the issue. North Carolina lawmakers have approved a new system to help law enforcement identify people who are deaf or hard of hearing. It passed the State House and is now on its way to the State Senate. WRAL-TV has more on the story here. Frankie Thomson has flown for decades by himself, despite being deaf-blind. But he was removed from a Easyjet flight going from Edinburgh to Gatwick.Thomson was told the decision was for "safety reasons. "Read the full story here. A mom in Huntsville, Alabama says her school district has taken away her 8-year-old son's sign language interpreter. Ryann Brown told AL.com, "He cannot benefit from any type of hearing aid or cochlear implant so he fully relies on sign language to communicate. Taking away his interpreter would provide him with no access to language in the classroom." Read the full story here. 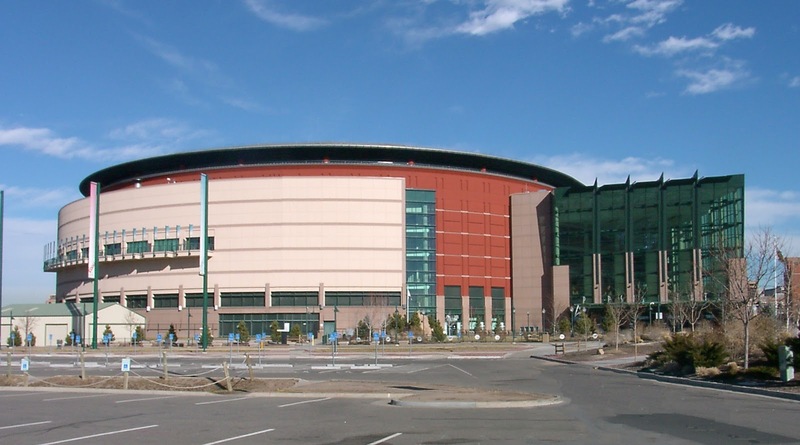 A class action lawsuit is asking the courts to make Denver's Pepsi Center include captioning on its video board and "provide interpreters for hearing-impaired fans at events when the video board isn’t in use." Read the full story from KMGH-TV. A bill in the Alabama legislature had pitted "the deaf culture and the 'hearing deaf' culture," against one another, advocate Leigh Leak says. According to AL.com, HB 253, proposed by Rep. Margie Wilcox, aims "to help deaf kids who are falling through the cracks" but "advocates in the 'hearing deaf' culture are afraid the bill will force children who use spoken language to learn American Sign Language." They complain the opt out option for children with cochlear implants is too weak. Read the full story from AL.com here or look at the bill itself here.